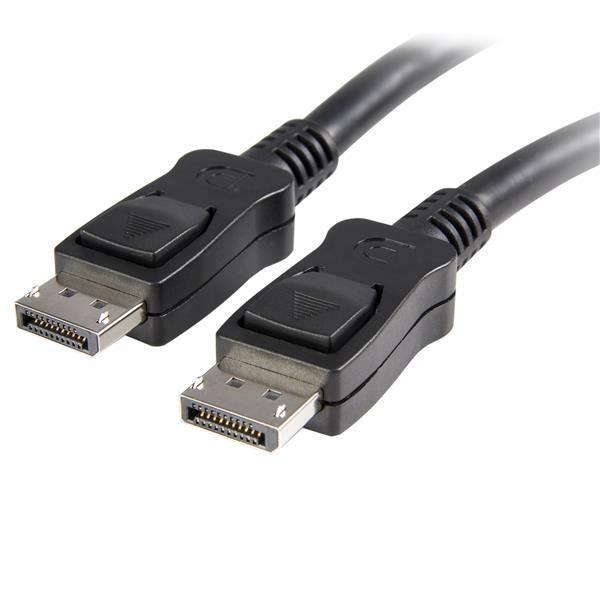 The DISPLPORT25L 25-foot DisplayPort® cable provides a connection of up to 25ft between a DisplayPort source and a DisplayPort display, with no loss of signal quality – almost/,more than double the typical DisplayPort connection distance limitation of 16ft. Its 26 gauge (AWG) pure copper wire, and Aluminum and Mylar shielding helps to eliminate EMI and RFI interference. Delivering a maximum bandwidth of 10.8 Gbps, the DISPLPORT25L is capable of providing higher performance than either HDMI® or dual link DVI and supporting next generation multimedia applications with a maximum resolution capability of up to WQXGA (2560×1600). The DisplayPort cable’s small, USB-sized latching connectors support two-way display connectivity and optional audio support. 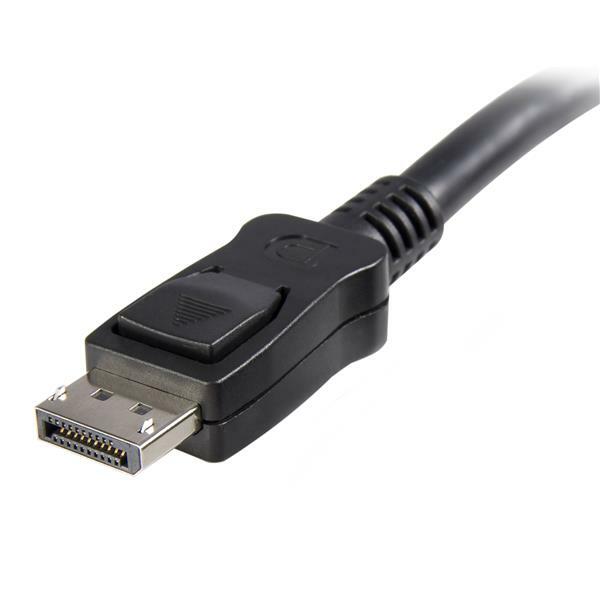 The DISPLPORT25L DisplayPort cable is both HDCP and DPCP capable, ensuring that digitally protected content is displayed properly on the connected display.